Using Leftover Spaghetti Sauce, this Pizza Sub is a quick dinner idea that is perfect for a busy night! I love that it is using leftover spaghetti sauce from a previous meal, but does NOT have that eating leftovers taste! 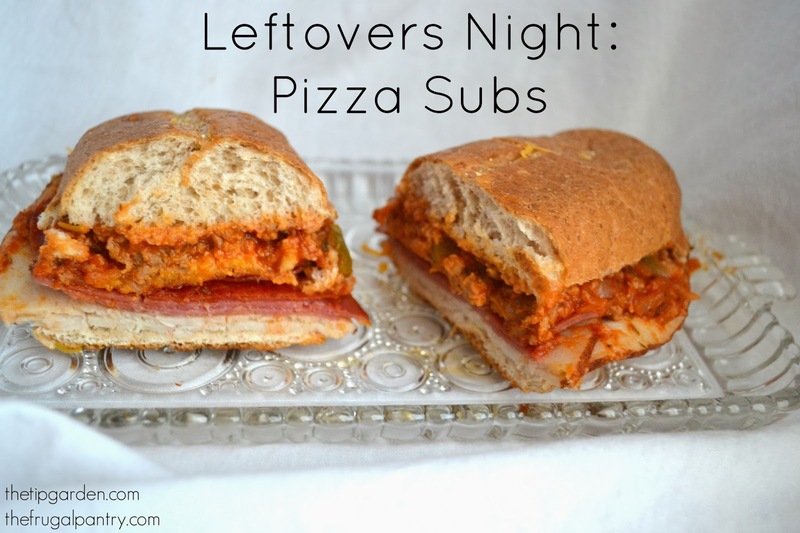 Your family will begin to LOVE leftover night when you whip these warm sandwiches from the oven! 15 minutes is all you need to pull this together. Everytime I put Spaghetti on my menu I also put Pizza Subs. I usually have the cold cuts so just adding Sub rolls to the grocery list is all I usually need to make a second meal. In the ingredients below I am listing exactly what I put on the sandwiches in the picture. But the amounts can vary depending on what I have on hand. You can also add other ingredients too such as banana peppers, mushrooms, etc. Shredded or sliced cheese (mozarella, monterey jack, povolone, cheddar) Grab what you've got. Slice open sub roll in half length wise. I do not cut mine all the way through but you can. 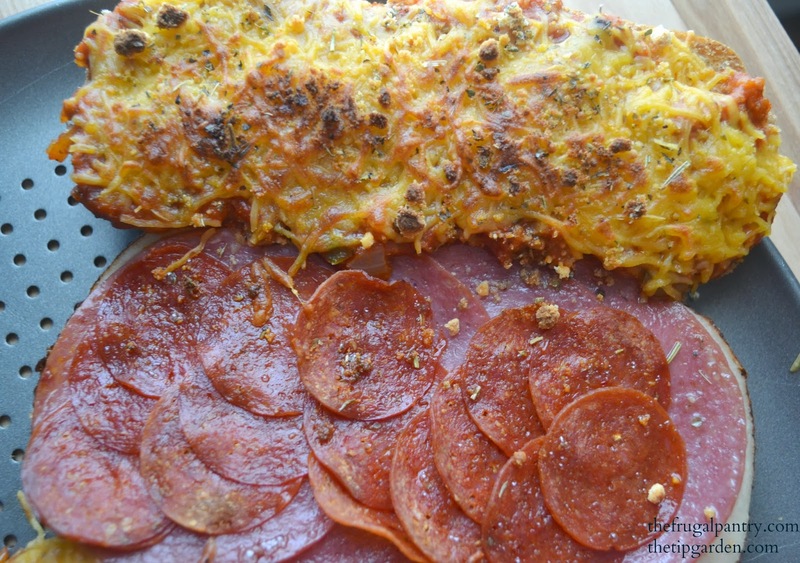 Open up sliced rolls onto baking sheet. Sprinkle or layer cheese on top of spaghetti sauce. Cook under broil on low broil 3-5 minutes till heated through and cheese is melty and bubbly. I like to slightly preheat my spaghetti sauce in the microwave for a minute or so before making the sandwich. Not piping hot, but just back to room temperature. This helps if you have a really hot broiler and your cheese is done before the meat /sauce is heated. I sprinkle the top with garlic bread seasoning, which is a mixture of Parmesan cheese, garlic and Italian seasoning. 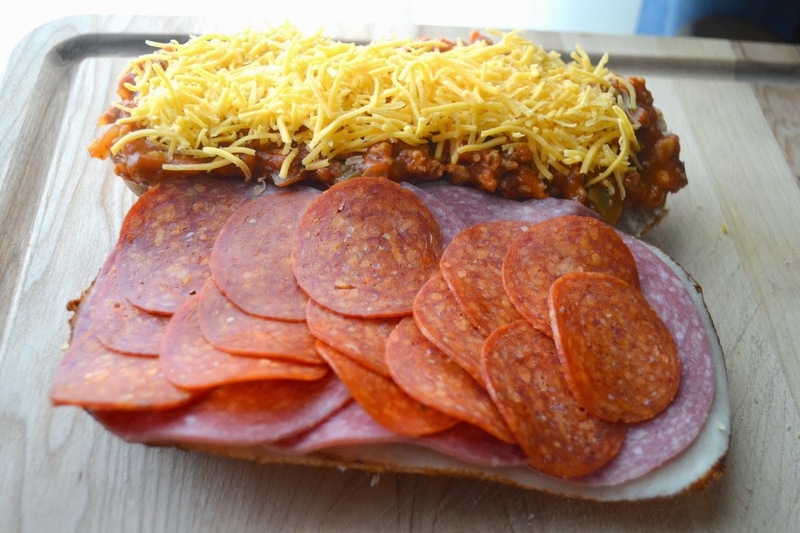 It adds that secret layer of flavor that puts the sandwich over the top! These look wonderful. Can almost taste them now. Yum. thinking about making these for Super bowl party but using a loaf of French bread and cutting into individual sections. I love that idea! My boys would want some shredded lettuce and banana peppers too I think! Great idea! Those look absolutely delish! I will definitely be making them after our next Spaghetti night. Thanks for the recipe! oh my goodness. yummy!Thank you so much for helping to make the Thursday Favorite Things blog hop so much fun Hugs!